Art Collection of Silpakorn University is the exhibition that was curated from the art collection that belongs to Silpakorn University. They are award-winning works from the National Exhibition of Art, Exhibition of Contemporary Art by Young Artists, and the National Ceramics Exhibition. These exhibitions of art collection are held under specific thematic concepts of art, which focuses on educational purpose and aim to motivate the learning and understanding of art development in Thailand, which is shown in these major art competitions of the country. 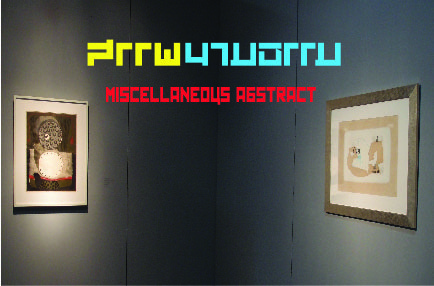 The fist season of this Silpakorn Art Collection exhibition was curated under the concept of abstract art movement under the title "Miscellaneous Abstract" in early 2012 at the Art and Cultural Center Commemorating the 6th Cycle Birthday Anniversary of His Majesty the King, Silpakorn University Sanamchandra Palace Campus. It was exhibited again in the Art Centre Silpakorn University Wang Thapra on the occasion of Silpakorn University's 70th Foundation Day. The second exhibition of Silpakorn University Art Collection, KAYA, illustrates how human figure transformed into various figurative forms according to the artist's own experience and interpretation of the society. It was held during 10 and 28 September at the National Art Gallery on Chaofah Road, Bangkok.